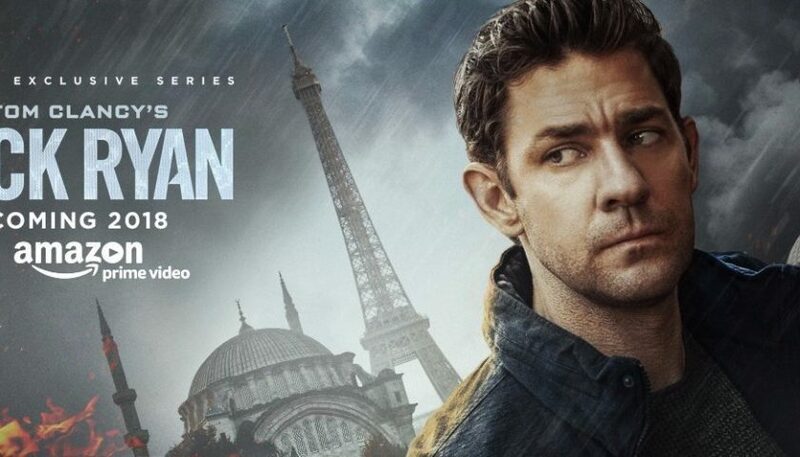 Review: Jack Ryan premieres on Amazon Prime come August 31st, John Krasinski will become the fifth actor to inherit the most lucrative of all of Tom Clancy’s running characters. The prequel series will follow Ryan’s early days as a CIA analyst, before he became the known globetrotting spy at the center of so many novels that your grandfather probably has somewhere in his house. As the mild-mannered hunk Ryan puts it himself, “I don’t interrogate people, I write reports,” but before long he’s off on a labyrinthe adventure involving a terrorist sleeper cell with global intentions. In keeping with Clancy tradition, the first trailer for Jack Ryan suggests that Krasinski will find himself run through the gauntlet of hazards, from punishing financial research to violent fistfights with detained suspects. It’s always strange to consider the Ryan stories “escapist” in the classic sense, given that they’re often chronicles of a lone wolf narrowly preventing terrorist attacks of unimaginable scale, but they’ve typically been presented as such on the big screen, and series co-creators Carlton Cuse and Graham Roland have very clearly decided to retain that approach for the upcoming series. Jack Ryan will premiere with an eight-episode first season, and has already been renewed by Amazon for a second before its premiere.